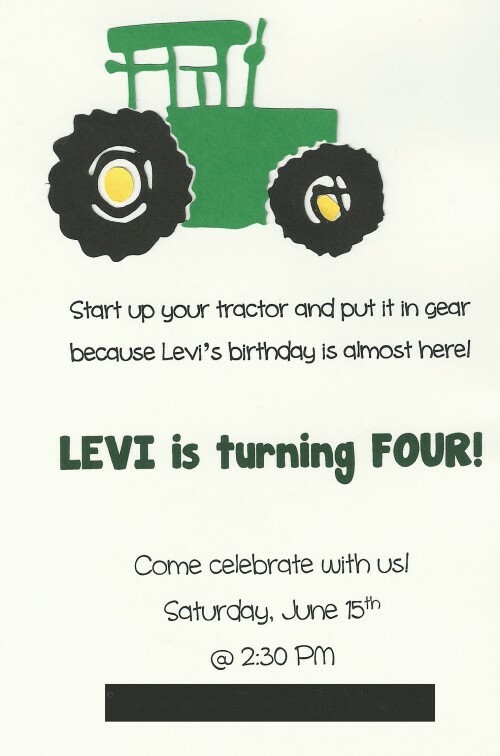 Levi loves tractors and loves when we drive past construction so we decided to do a tractor/construction theme birthday party. I think the party was perfect! I am not one to go all out on parties. I think it’s silly to spend a crazy amount of money. 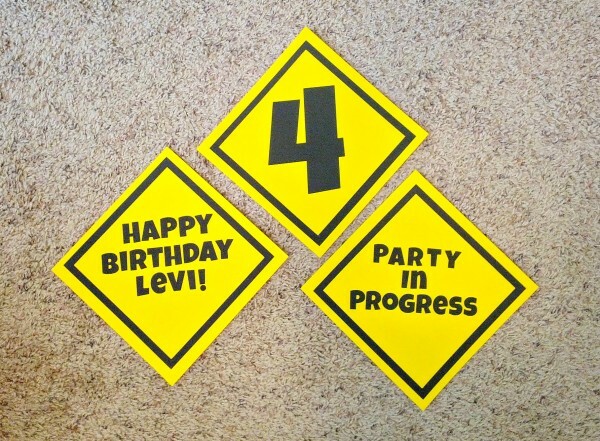 With a few nice decorations I think the party was perfect and most important, my Levi just loved it and thought everything I did for it was so neat. 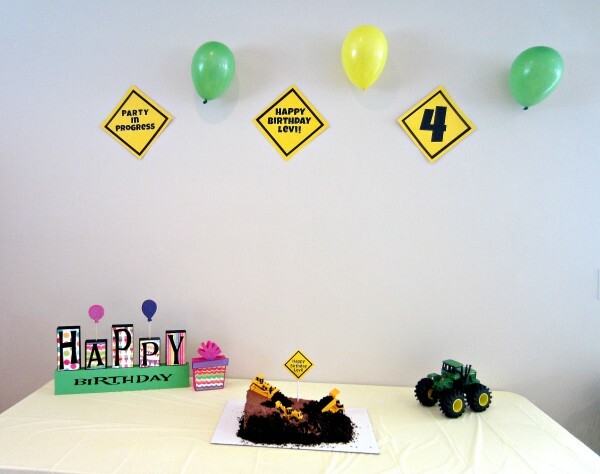 So here are a few ideas to help you out for a tractor/construction party. I love how the invitation turned out. Simple but cute. I used my Silhouette to cut it out of cardstock. You can find the shape here. 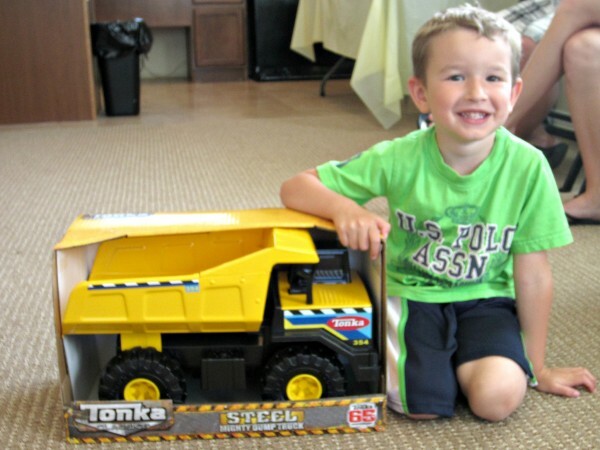 Other options are to print out a tractor or find stickers etc. 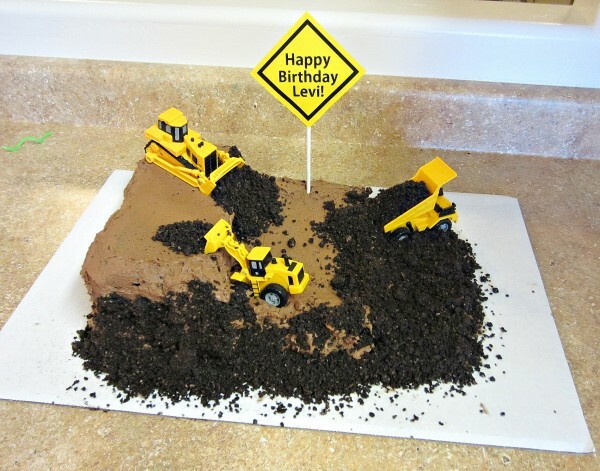 I made a really fun construction cake. Levi loved it as did everyone else. It’s so fun and even more delicious! I made it using chocolate cake, chocolate frosting and Oreo “dirt.” You can find how I made it here. We also served ice cream. A fun idea I didn’t do but you could do is to serve Magic Shell and call it concrete or mud. 2. How much does he weigh? 3. What is his favorite TV show? 4. What book does Levi have memorized? 5. What is hsi favorite thing to drink? 7. What is his favorite fruit? 8. What does Levi sleep with every night? 9. 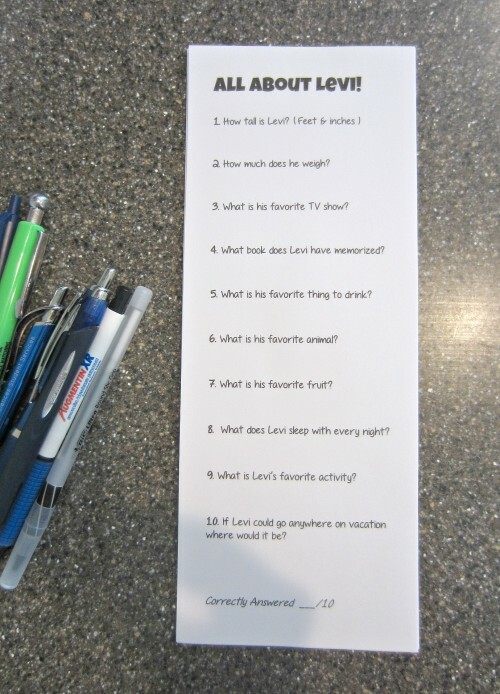 What is Levi’s favorite activity? 10. If Levi could go anywhere on vacation where would it be? 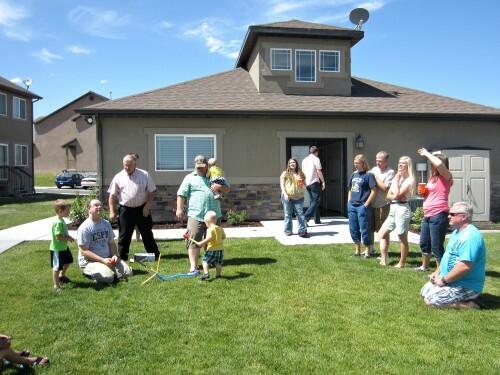 We also played with a fun Rocket launcher we gave Levi for his birthday. (A few days before.) I know it’s not tractor related but it was fun! We kept the decorations simple. 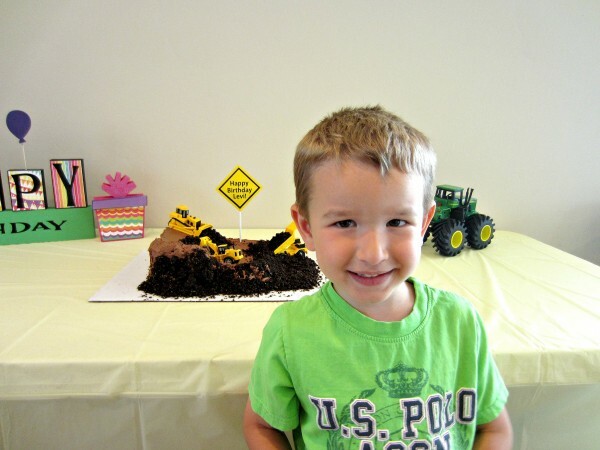 I just used my Happy Birthday blocks I made a while back, the cake, and a tractor. As well as balloons and crepe paper. My favorite part was the fun construction signs I made. Here is a picture of my cute little family. 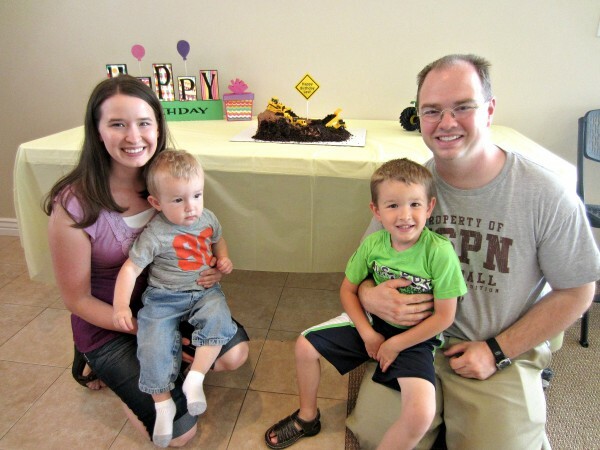 It was a very fun party and most important, Levi loved it!